The Vozz has landed at Sportsbikeshop. 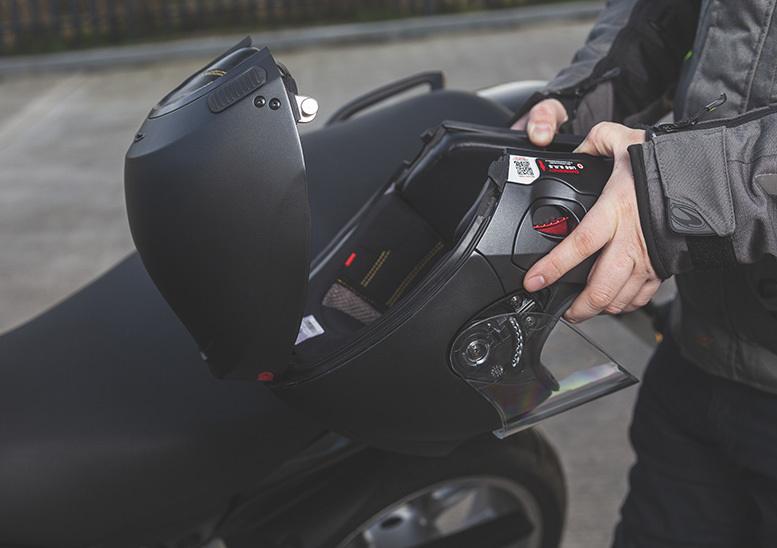 The Vozz RS 1.0 is a twist on the traditional flipfront, with an opening mechanism that opens up to make it easy to put the helmet on before closing it around the head. 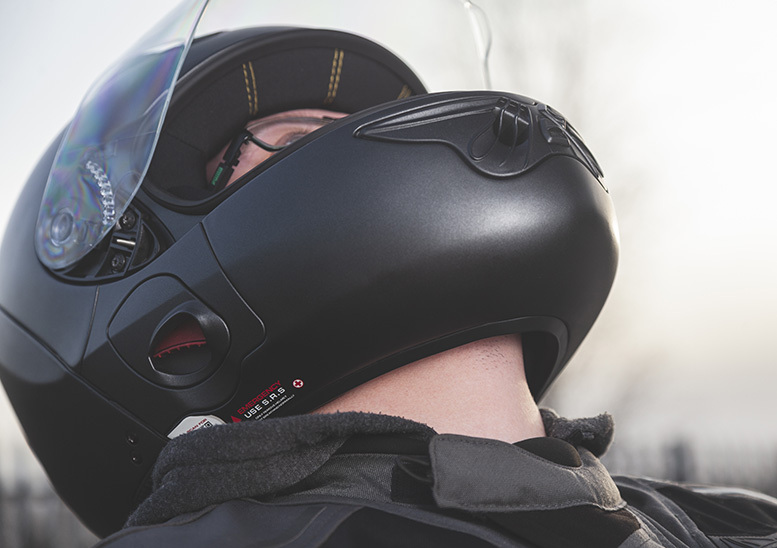 It also does away with the need for a fastening strap as the helmet itself secures around the jaw and chin to fasten it in place. 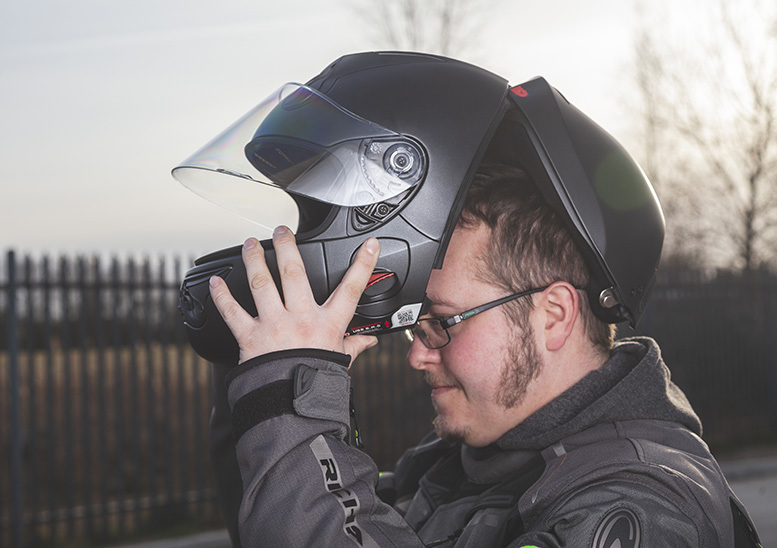 Our customer services guy Ben Kerry was so keen on the idea that we loaned him a demo helmet to get his first impressions of the £550 lid with the quirky hinged opening. I think it’s cool, especially for someone who wears glasses like I do. I can put the helmet on with my glasses still on, do it up and off I go. That was the main reason I was keen to try it. I have two pairs of glasses and one of the pairs won’t fit in many lids, but both pairs fit in the Vozz. 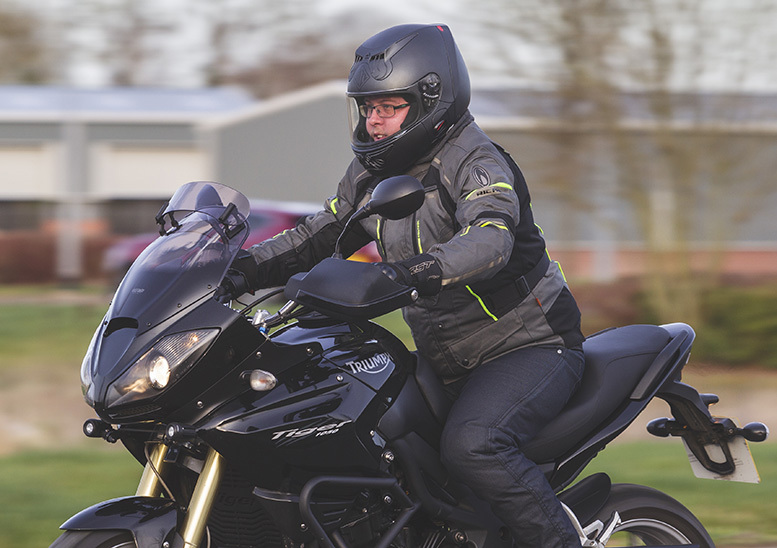 With a normal helmet I have to take my glasses off, put them on the bike, take my helmet off, put the helmet on the bike and then put my glasses on again. I have to take my gloves off to do all of that. 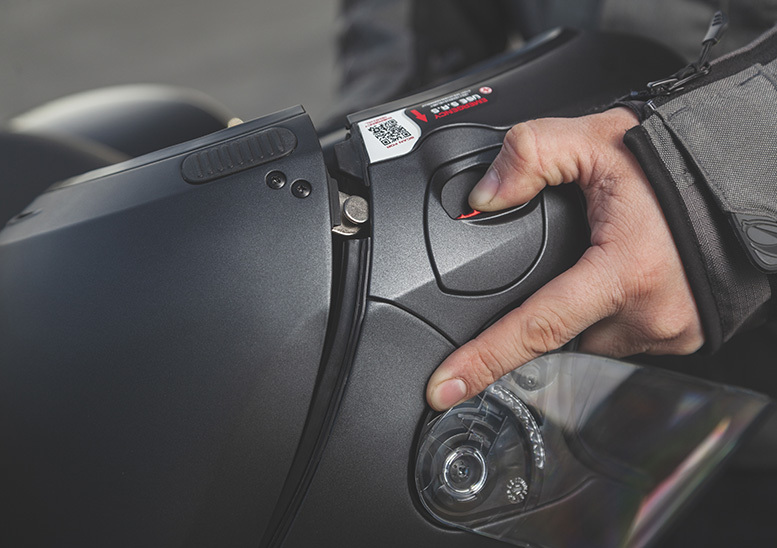 With the Vozz I just undo the helmet and take it off, without even taking my gloves off. The only fiddle I had was setting up the chin support, which replaces the chin strap you’d have on a conventional helmet. The support needs two screws adjusting to get it right. I loosened the screws, put the lid on and closed it so it was in the right place and then took the helmet off and tightened the screws. It’s stayed in the right place since. I find it a comfy helmet, though I did have to go a size bigger than I would normally buy. I had to go for large and I’m a medium in every other helmet brand except Scorpion. I find it a comfortable helmet. It’s not narrow like an AGV or Bell, and I would say it’s a more rounded fit, which suits me. When I first put it on, I had to press hard to get the mechanism to close, but with use it’s freed up and is much easier after it’s been open and closed a few times. The technique that Vozz suggest is to use thumbs to pull the two sections together, but I find that doesn’t work. As I lift my arms to operate it, my shoulders get in the way and stop me getting my thumbs in the right place to shut it. The armour on my jacket lifts and gets in the way. The method I use is to grip the front of the helmet with my thumbs, grab the rear section with my fingers and pull the two parts together. I don’t have to lift my shoulders to do that, and it’s a much easier technique for opening and closing the lid. The ventilation works well. When I open the chin vent I can actually see through it. I can feel air flowing through the top as well, so ventilation is good and it lets plenty of air in. It’s not noisy, even though I’ve used it so far without earplugs because I wanted to see how noisy it was. It was quieter than some other helmets I’ve used on my bike, but I have used others that are as quiet as this one. There are a couple of problems I’ve found with the Vozz. I couldn’t get it to work with a neckwarmer because it kept ruffling up as I lifted my arms and the fabric went inside the mechanism of the helmet and got trapped. Every time I tried to do it, the material got caught, so I gave up in the end. The Vozz without a neckwarmer is better than a normal helmet without one, but after one cold ride my neck and chin were very cold. 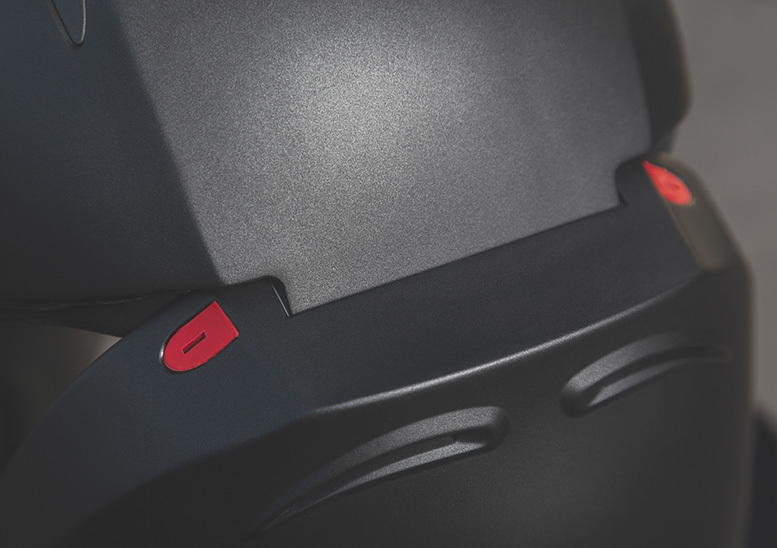 The other problem is that it could do with a Pinlock insert to stop the visor misting. 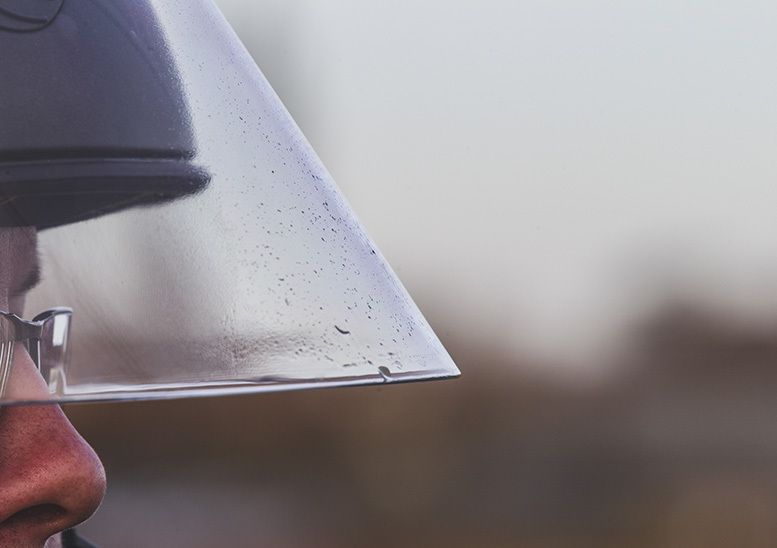 It has an anti-fog coating, but there’s no breathguard and moisture formed on the bottom of the visor and I could see it dripping down the visor. It didn’t block my vision, but I could see it on the vision. Apart from those issues I like the Vozz helmet. I like the fact that paramedics can dismantle the helmet around me if I have an accident, I like the design of it, I like the visor lifting mechanism and I like not having to take my glasses off to take the lid off. I also like the fact there are no straps, which always end up rubbing on my chin. The only thing that puts me off is the fact there’s no Pinlock, which is a big thing for me. 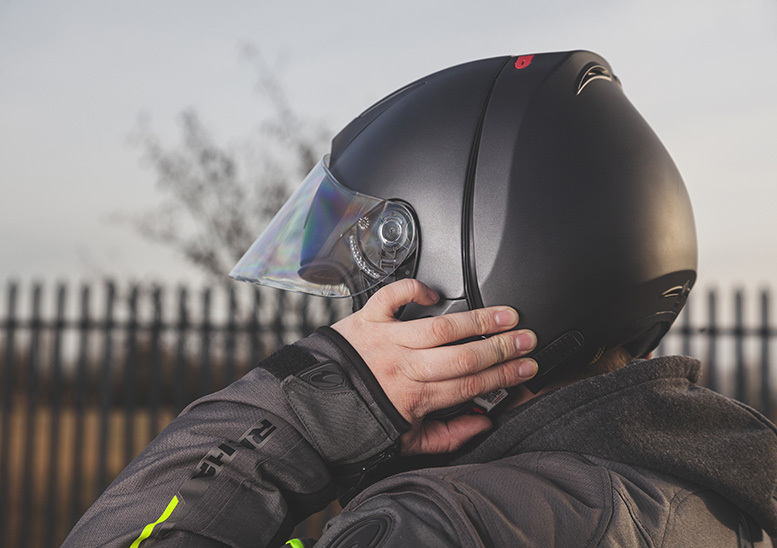 The Vozz RS.1 helmet is available at £549.99 (at the time of writing) and comes in a range of colours. 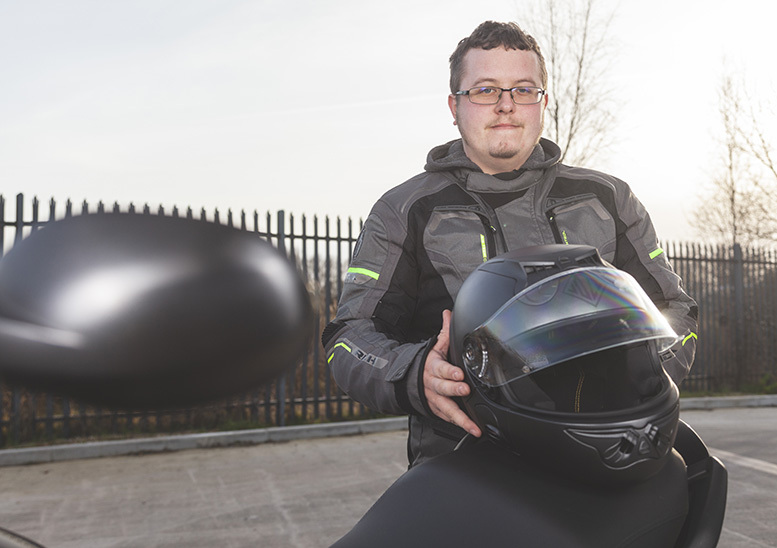 We’re working with Vozz to install a demo fleet of helmets at Sportsbikeshop stores in Boston and Milton Keynes. Watch this space for updates on how you could follow in Ben’s tyretracks and try one.